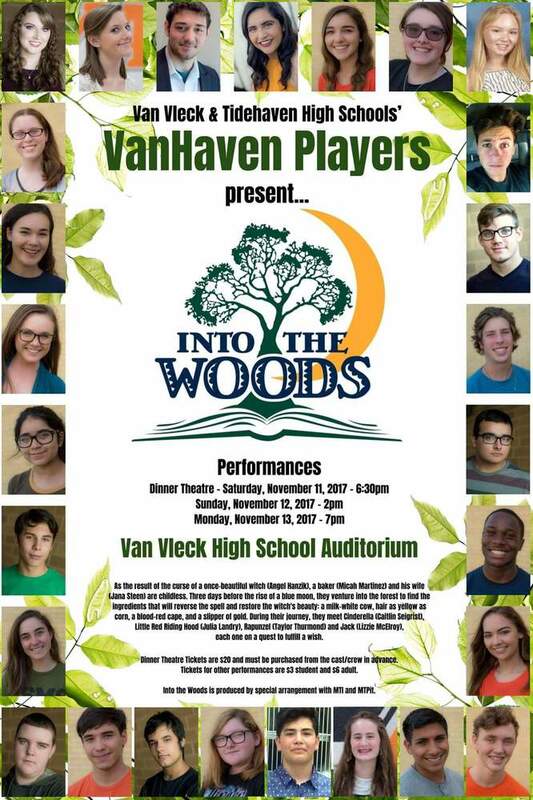 Come out & join our Leopard Players for this first ever joint production with Tidehaven High School & Van Vleck High School! Contact Mrs. Gena Smith (979-323-5080 or gsmith@vvisd.org) if you'd like to reserve dinner theatre tickets. All other tickets may be purchased at the door.